From traditional Korean folk music and the sounds of pansori, to the heavily Western influence of Korea’s old rock ’n’ roll scene, all the way to the current trends of choreograph-heavy K-pop idol groups, the nation’s music industry has had a number seismic shifts. After the trend of popular music shifted from folk to rock to pop, the modern era of music gave birth to the continually growing, internationally recognized genre that is now referred as K-pop, or Korean pop music. Within the first half of 2011, the Korean music industry had grossed nearly $3.4 billion, according to Billboard magazine, with K-pop being recognized by Time magazine as “South Korea’s Greatest Export.” According to the Korea Creative Content Agency (KOCCA), the K-pop industry’s exports have been growing on average about 80 percent a year. The advent and the subsequent expansion of K-pop did not begin with the cheesy and classy manners of the “Gangnam Style” gentleman Psy. Rather, the history of K-pop can be classified into distinct generations, with the first wave of stars paving the way for the hallyu idols of today. 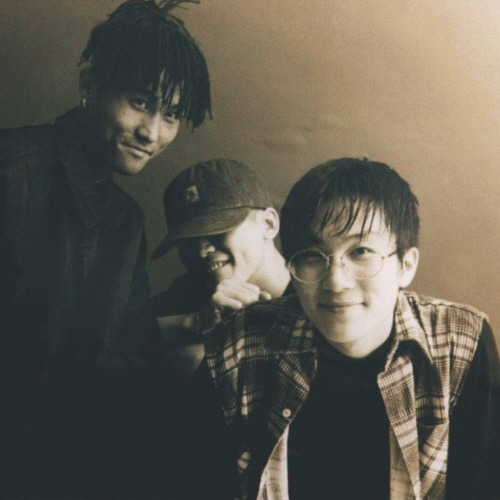 In 1992, Seo Taiji & Boys became the first group to usher in a new sound of pop that changed the direction of Korean music. The formation one of the country’s most iconic K-pop groups brought an innovative fusion of musical styles, such as techno, rock, rap and R&B. The eclectic sounds of the boys’ debut single, “I Know,” took the country by storm. The group’s fresh new sound resulted in an influx of new-generation Korean idol bands, most notably boy groups H.O.T. and Sechs Kies and girl groups S.E.S and Fin.K.L. A new trend had been set, marking the first generation of K-pop music with English band names ― which at the time was considered the definition of cool ― and synchronized dance moves. The teens captured the hearts of young girls all over the nation with their swanky fashion, boyish charms, rap skills and trendy dance moves. 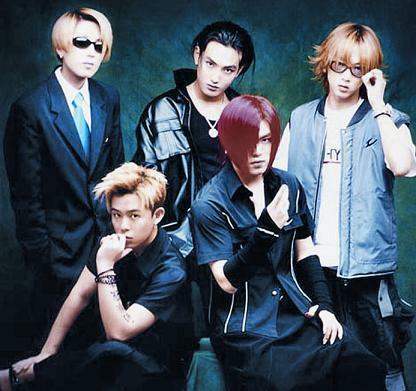 This boy band craze led to the likes of other popular boy groups including the six members of “Sechs Kies” (German for “six crystals”), who debuted a year after H.O.T. and helped continue the success of boy bands. However, it wasn’t only the men who shared group popularity during the first generation of K-pop. Representing this generation’s girl groups were the hugely popular Fin.K.L (Fine Killing Liberty) and S.E.S. (Sea, Eugene, Shoo), whose member’s babyish voices, cute schoolgirl looks, synchronized vocals and choreography propelled them to the top of the music charts. The advent of music television channels like MTV Asia and Channel [v] in the 1990s not only brought in music videos from the West, but also helped introduce Korea’s pop music abroad. “The power and influence of music videos propelled K-pop stars onto the Asian region’s screens, stages and award shows,” said Bernie Cho, head of DFSB Kollective, an agency that specializes in distributing K-pop globally. Although the first generation of K-pop music set the standard for K-pop, the next generation of idols set a new direction for the future of Korea’s pop music. The so-called 2.0 and 2.5 generation of K-pop acts include the still-popular music idols BoA, Super Junior, Girls’ Generation, Big Bang and Wonder Girls. It wasn’t until this generation of K-pop idols that the Korean music was thrust into the international limelight. According to statistics from Google trends, online searches for K-pop began their steady increase in 2009, after the release of smash hit singles “Sorry Sorry” from Super Junior and Girls’ Generation’s “Gee.” Both singles recorded massive sales overseas, particularly across Asia and Japan. And thanks to the growth of digital media and online sharing sites such as YouTube, K-pop has become an increasingly global brand. Girls’ Generation’s “Gee” not only topped the major music charts in Korea, but it became the longest-reigning single on the KBS music charts. The nine ladies also became the first K-pop girl group to ever go double platinum in Japan. Since this dramatic shift in international interest, the popularity of K-pop has continued to make its mark in the global music scene. And with the introduction of the third generation of idol groups including SHINee and the bad girls of 2NE1, the Korean pop music scene continues to spread its wings beyond the borders of Korea, resulting in the production of international K-pop album releases and entertainers embarking on world tours. Needless to say, the introduction of Psy’s “Gangnam Style” ― whose international popularity shocked the nation ― has set a new bar in terms of the future global potential of K-pop music as a brand. K-pop artists today have more challenges as well as opportunities. The ubiquity of social networking sites, while it can help K-pop acts make their breakthrough, can also lead to an unexpected breakdown, internationally, in real time, Cho of DFSB Kollective notes. More is demanded of the artists musically, rather than pretty looks and flashy dance moves as the music industry increasingly turns to concerts and tours to diversify their revenue stream.